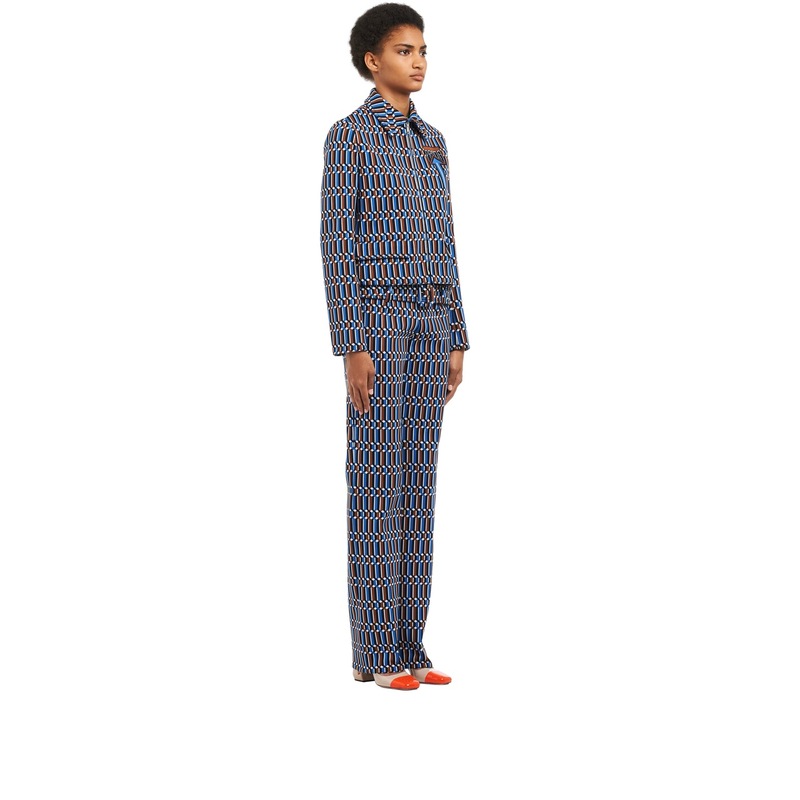 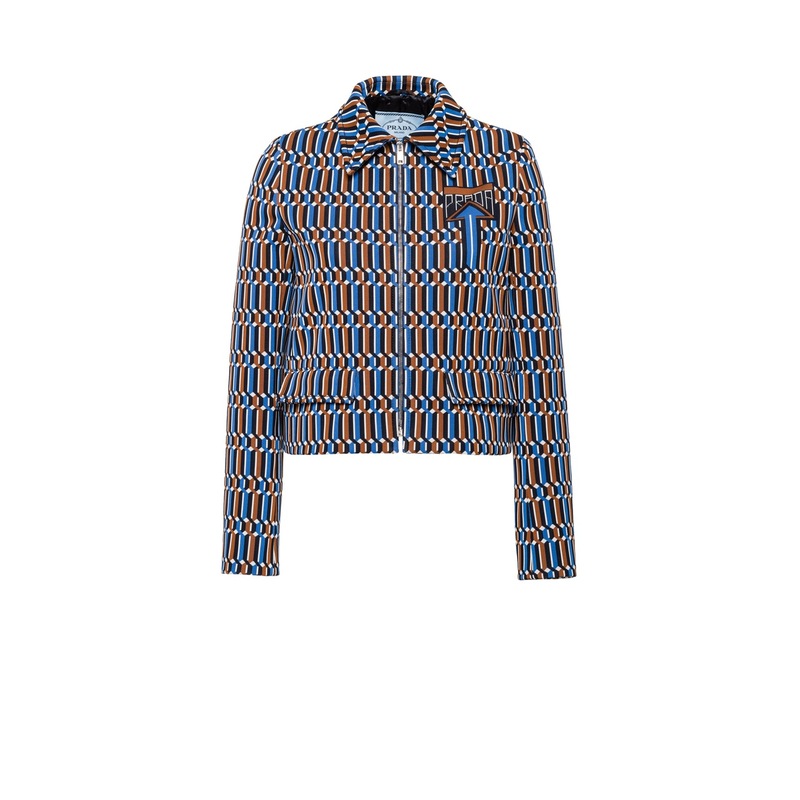 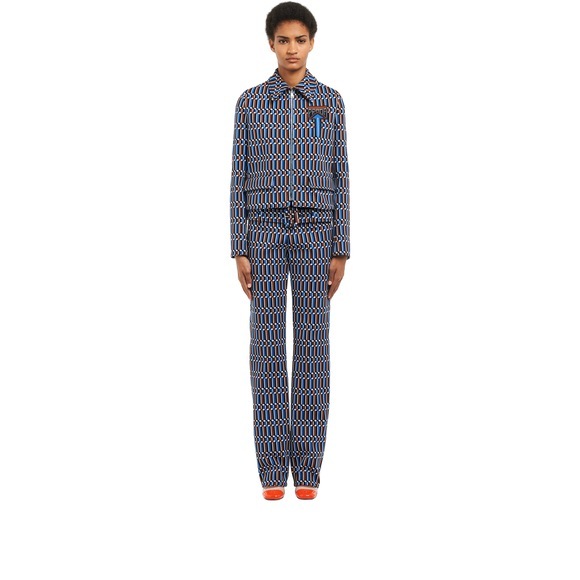 A hypnotic geometric pattern decorates this technical jacquard jacket. The collar and zipper closure characterize the design. 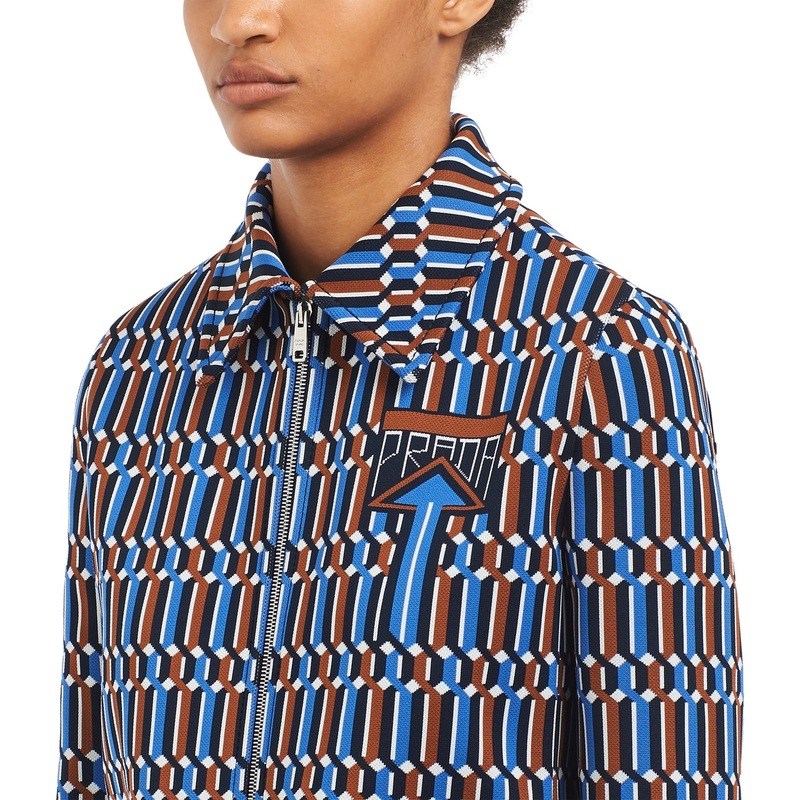 The garment has a jacquard logo on the chest in the same colors.